Rob Mayes is perhaps best-known on this side of the pond for his roles in the hit US series The Client List and Mistresses. Alongside his acting work, Mayes has also dipped his toes into the music industry and next week he’ll be releasing his debut Country single Closer. The track is the first from a planned EP and it’ll show Mayes’ fans a side they may not have seen yet. I caught up with Rob to talk about Closer, find out more about the EP and discuss his frequent trips to Nashville. Your new single Closer is your first proper foray into Country. Why did you decide on that track? I think for a few reasons. Oddly enough it was the first time I had been to Nashville and it was my second day. We sat down with my producer Kevin Leach and with Ryan Rossebo, who we co-wrote it with. It was our first time meeting each other. Me and Kevin had met the day before and we’d been on the phone a little bit sitting in the same room… everything was pretty fresh and new to us. We got to know each other pretty quickly over some coffee and then decided to jump in. We all were feeling something poppy and something light… something that you want to sing along to hopefully. We just jumped right in and we wrote this song in one quick session. For me it’s just a light, fun, not over-thinking, not overly clever song that I hope makes people smile and sing along to if they want to. At least that’s how it makes me feel. Because of it being catchy and being poppy, and one of the first ones that I wrote when I first got to Nashville I felt maybe this is probably a good one to lead with. Yeah, well thank you for saying so. You’ve been making music for years but this is your first proper push. Are you working towards an EP or an album, or is the plan to release singles for the moment and see how they do? I’ve got an EP that we’ll lead up to. Closer comes out April 5th and it’s gone out to radio. We’ve been in preorder now for the last few weeks. We’re leading with that one, then I’m going to follow up with most likely Road With No Lines, which I wrote with Mike Harter and Evan Williams and Kevin Leach as well. That one was recently a finalist in the International Acoustic Music Awards, which is pretty cool. I think Meghan Trainor actually won that back in the day. We were also a semi-finalist in the International Songwriting Competition just recently. Kimbra and Gotye… insane people have won that in years past as well so pretty good company. That song is a little bit more classic throwback country. I’ve got another one, My Heart is Bleeding, which is more of a soul bluesy Stapleton-y, much more raw feeling song that will probably follow that up. Shortly thereafter I’ll release the EP. We’ve got stuff! I’m in Nashville now so often and every time I’m there we’re cutting new stuff and cutting new vocals. I just wrote one with my good buddy Smith Curry, who played pedal steel and dobro on a bunch of my stuff. I wrote with him and Lauren Weintraub, who was incredible and was runner up in the NSAI Songwriting Competition this year. We just got a new one called We’ll See, which I’m also really, really excited to get out. There’s a bunch of stuff to come and I’m hopefully releasing stuff every four to six weeks after Closer drops. 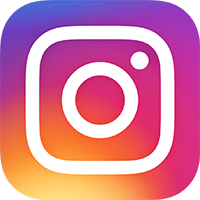 As you mentioned you’ve been to Nashville a lot recently and you share a lot of that on Instagram. What’s been your focus? Is it writing and performing or taking meetings to get the ball rolling? It’s been all of that and more. We broke Closer in early December 2017 and I’ve been going back and forth every six weeks pending movies and work. There were a handful of trips last that I had to keep postponing and pushing because I was off in Hawaii doing a movie, then I was in Utah doing a movie and doing an episode of SWAT so I had to keep juggling the schedule around. Now it’s been like every six weeks or once a month, I’m back in Nashville trying to write. We get usually at least a write a day, sometimes two writes a day and there’s been days when there’s three writes a day, which is amazing but incredibly exhausting. I’ve been taking meetings and been in the studio laying down new stuff. This last trip I got to play a little bit. My new friend Jamie O’Neal actually had me up on stage to play a couple of songs at Listening Room, which was unbelievable. Stephony Smith who’s written these huge Tim McGraw songs and Jamie O’Neal who I grew up listening to, we ended up becoming friends over Instagram. Next thing I know she’s having me up on stage to play some of my stuff for a packed house at the Listening Room Cafe, just about a year after I had first stepped foot in there to just listen to some music. That was pretty wild and I’m super, super grateful to her for having me up. I just played a show at the Local with Smith Curry. I have a show tonight in L.A. Even though you’ve always been involved in music, and in fact your character on Mistresses was a musician, people primarily know you as an actor. Do you feel nervous about putting yourself out there as a musician? It’s a funny question. Any time I’m doing something new there’s exhilaration and excitement so I’m definitely feeling that. I’m hopeful that the people are responsive and that they’re digging the stuff as much as I am and as much as we. You never know but I’m hopeful. I definitely feel exhilaration and anticipation. From my experience of being in the Country music industry, it’s unusually supportive and friendly compared to other genres. Have you found that the Nashville community are embracing and supporting you? It’s been just crazy. As I’m concerned, as far as anyone’s concerned, I’m very new to town. There’s people there who you know are “overnight successes” who have been just hitting the pavement for a decade. That overnight thing just doesn’t exist. People work hard and they do it for a long time to become an “overnight success”. It could have been so easy for people to be like, “who’s this guy? He’s not from here, he’s new. We don’t have to embrace and accept him at all or include him at all’. It’s been quite the contrary. A lot of people that I’ve reached out to either directly or through my producer or through friends and expressed interest in writing with them, they’ve been agreeable and excited. That’s really cool. As you mentioned in pop and rock, those aren’t my worlds, but the people that I know who are my friends who are in those worlds it does seem different. I think Nashville is a community, a city, a town, an industry, a genre that’s predicated on co-writing. If you dig someone’s stuff or dig someone’s songwriting and they dig yours, it’s not like, ‘ooh can I nudge them out to get ahead or are they going to nudge me out to get ahead?’ It’s like, ‘wait a minute, we both like each other’s stuff? Why don’t we do something together?’ It’s that mentality, it’s so healthy and so pervasive in that city. Even when I get on a plane coming from L.A., as soon as I get on that aircraft and we’re on tarmac, you know that you’re going to Nashville. Not because they told you so but because of the energy. People are in a good mood all of a sudden and it’s welcoming, people are smiling…. there’s this embracing of your craft, which is greater than yourself. When you strive to develop a craft like that and you put your ego aside that’s a big thing. It’s pretty powerful. It’s pretty cool. Yeah it’s really, really, really cool. I can’t say enough about it. It’s awesome. Have you got any plans to do a headline tour? Yeah I would love to. I would absolutely love to. It’s been such a crazy time right now. We’re coming off the heels of pilot season in L.A. I’ve been going back and forth to Nashville, planning and preparing for the rollout of the single, shipping the radio and doing press for that. I would love to do a tour and it’s something that that I need to figure out and figure out soon. That said, tomorrow night I’ve got a premiere of a movie that I did about a year and a half ago called Maybe I’m Fine. That one’s about a guy, myself, and his younger daughter who he’s not on great terms with because he split from her and her mother years ago to pursue music. He ends up going on this long road trip in this VW bus with his daughter up the coast of California and they just hit obstacle after obstacle but in doing they become closer and closer. It finally culminates in a concert in Northern California. Oddly enough another music movie and that’s literally premiering at the Golden State film festival tomorrow night. I just finished a movie with Val Kilmer, Jake Busey, AnnaLynne McCord, Neal Bledsoe… a whole incredible cast of people that’s called Soldier’s Heart. It’s a Western. My work in music and in film could not be mirroring each other more perfectly. It’s crazy. It’s not something that I planned. It’s like the universe is like, ‘oh Rob’s doing Country now, let’s do a Western!’ It’s pretty cool. I would have loved to have done that! That’s the thing, when we say ‘Country music’, it’s like what are we referring to? Country & Western back in the day was Buck Owens, which I love, but it’s a totally different thing than what Thomas Rhett’s doing now or Brett Young or Morgan Wallen or Carly Pearce. The whole genre has changed so much and become such a broader all encompassing umbrella of music. The long and short of it is that it embraces hope. There’s hope. Who doesn’t get on board with that? We could always use more hope in our lives. Country is just human stories too. I can listen to Ashley McBryde and feel like I’ve lived her life through her words. It’s a unique quality that no other genre has…. I love the music of the 90s. Edwin McCain, Tonic… all that stuff. There was an earnestness there that to me was like, ‘ah that’s refreshing. There’s some vulnerability and you’re not afraid of it!’ I feel like that’s another part of Country music that’s refreshing. You can be a man and still talk about your feelings and not have to shove it, repress it, push it down and ignore it. What will it take to get you over to the UK for some shows? Man you just say the word! (laughs) You invite me I’ll be there. I’m dying to get back. I went to school out there. I got friends out there. I would love to get back out there. I would be there in a heartbeat. 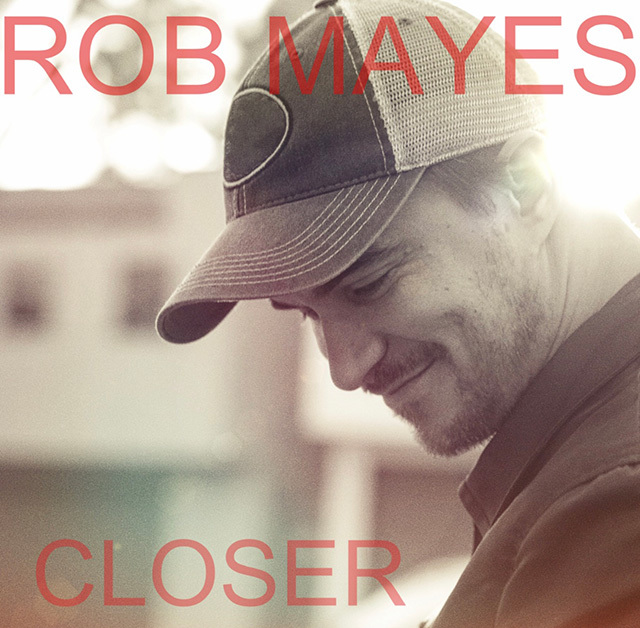 Rob Mayes releases Closer on Friday 5th April 2019. You can pre-order the track at hyperurl.co/41bl3t.